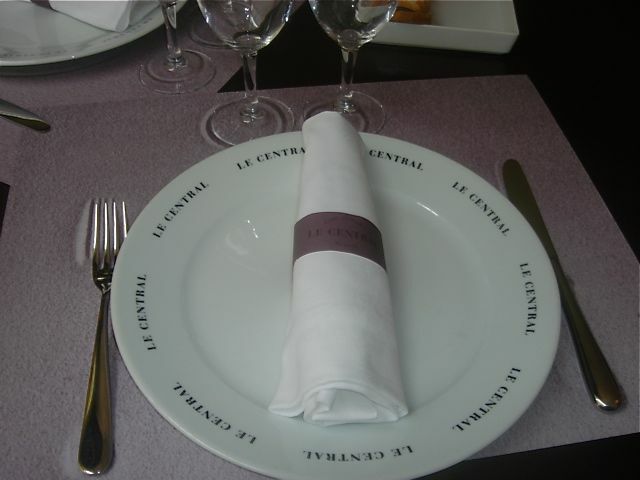 Le Central is Troisgros’ bistro. This is the place where we got the idea for the BIN place mat with the image of the knife and fork. We added the glasses and plate image plus the famous wine stain. It appears that they have changed theirs a bit. 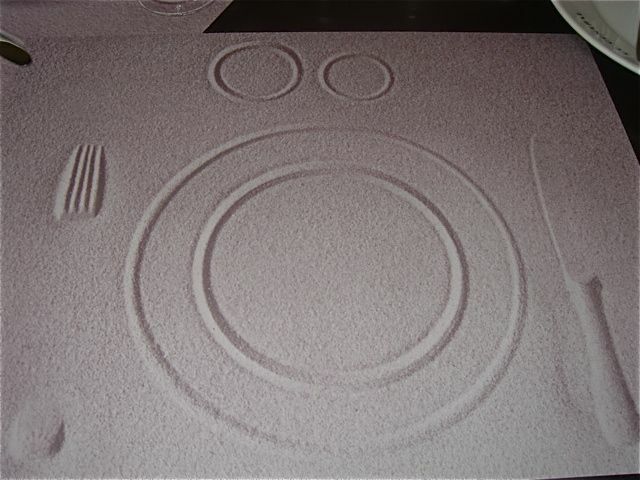 The place mat is bigger, a purple tone with two wine glass images and a plate. There is no wine stain. me— I wanted to try the Le Central omelet that I made at home. It wasn’t on the menu. Figuring that it is essentially eggs and cheese I begged for my omelet. 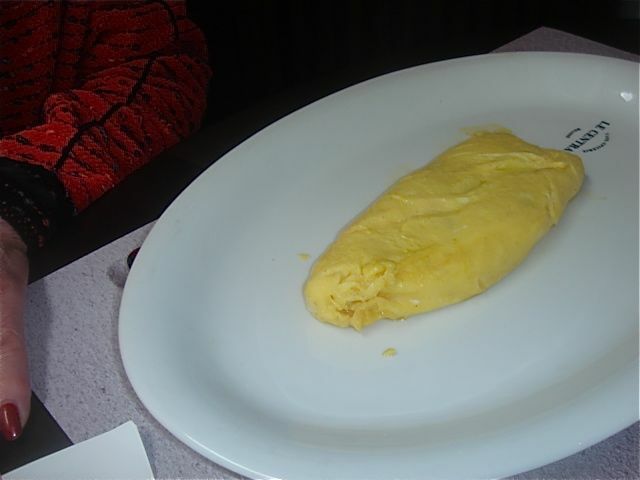 The waiters and kitchen were very accommodating and I got my cheese omelet with a small salad. Delicious! 1st course – tuna carpaccio with capers and slices of Parmesan cheese. With John anything can and usually does become a sandwich. 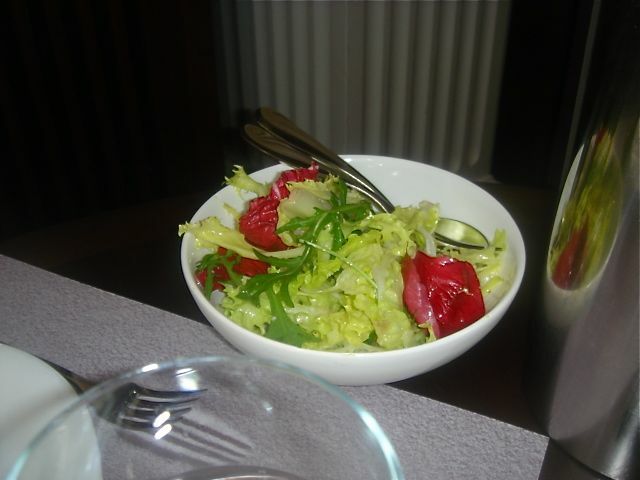 John did in fact change this into a sandwich of raw tuna with capers and parmesan…he loved it! 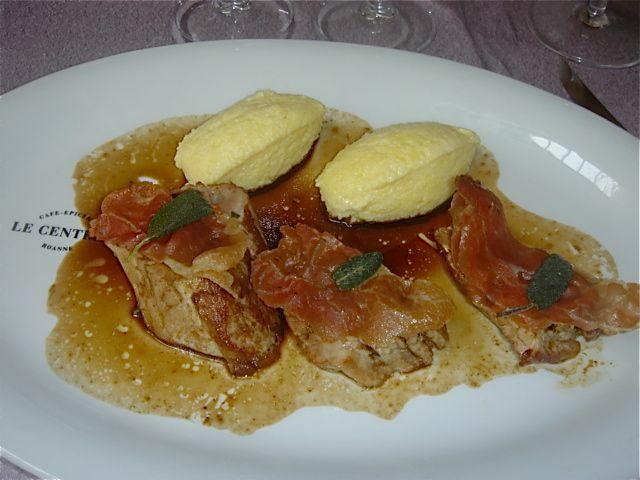 2nd course – pork loin with pancetta with two canelles of polenta. This was a massive portion. John ate 50% and was stuffed. The polenta was delicious—rich and creamy and the pork was delicious. Dessert—fruit salad with a cooked meringue…nothing special. 2005 Sancerre Dezai…a moderate priced, decent value…we enjoyed it. 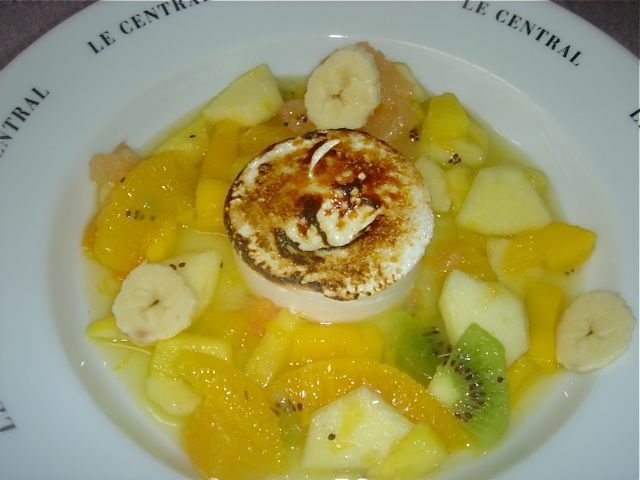 We like Le Central. It is a classic bistro with great charm and panache. We compared it with Comme Ca, the new bistro in West Hollywood that we enjoyed. The big difference – noise level at Central is non-existent…it is comfortably full, but not crazy and the very high ceilings and fabrics absorb the sound. The staff is infinitely more professional than Comme Ca…the culture of foodservice in France is so much more professional than the USA there is no way to compare even the average waiter or waitress from France to USA, especially the typical “I’m really an actor” waiter in LA. 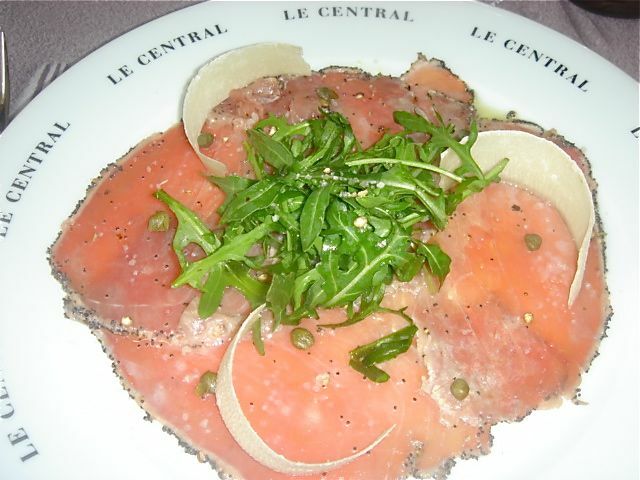 The whole experience at Le Central is fun and the food is good. We thoroughly enjoyed it.